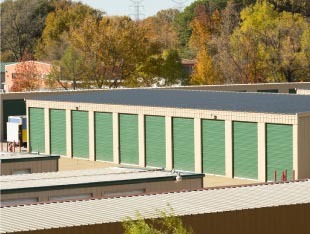 People often picture storage units as non-descript garages, one not very different from the next. But as you begin looking for storage, you’ll find there are a number of different units. To determine what kind of storage will best suit your needs, it’s important to understand the different units that are available, beginning with the difference between indoor and outdoor storage units. Indoor storage units offer a storage experience that’s more like storing at home in a walk-in closet or home office. The doors to these units are inside (rather than those with drive-up access outside) and can be climate-controlled. Facilities with indoor storage units are more common in urban areas since they’re generally smaller, more secure, and can be put into multi-level buildings. Outdoor storage, on the other hand, is where you’ll find the largest units. These are often used for vehicle storage, storing large items, or using storage during a move. 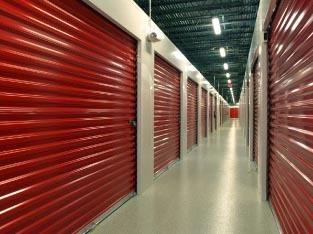 Indoor storage units are the perfect addition to an apartment or home that’s filling up. Indoor units won’t be as large as their outdoor counterparts, but they won’t be negatively affected by severe weather outside their doors, and you won’t pay for any more space than you need. These units are a particularly good fit if you’re looking to store valuable possessions that would benefit from the added security that indoor storage facilities inherently provide. Outdoor storage is really convenient, especially if you’ve got large items or lots of items to get into your unit. Ideal for renters storing the contents of a whole home or looking for a secure place to keep store vehicles, outdoor storage usually features drive-up access and lots of space. Unit sizes vary, but the ease of driving right up to your unit to load and unload items is universal. If you don’t live a large metropolitan area, outdoor storage near you might be your only available storage solution—but that can be a great value! Since storage isn’t in quite as high demand in these areas, exterior units will be more economical than their indoor counterparts, and you’re certain to have more than enough space. If an item is so valuable or fragile that you wouldn’t consider storing it in your garage or basement, look to indoor storage! Interior storage units are easier to keep safe from weather, pests, and intruders—particularly those on the upper levels, which can be easily accessed by elevator. Units on upper levels will be cheaper than first-floor units, and first-floor units will provide extra convenience, so there’s something for everybody in an indoor storage facility. Also, particularly delicate items will benefit from climate-controlled storage, an amenity that’s easy to snag at indoor facilities. Getting items in and out of an outdoor storage unit is really simple since you can drive your car or truck directly to the unit’s door for loading and unloading. These units are usually larger than interior units, which makes them ideal for storing furniture or large valuable items, such as vehicles or recreation equipment. If you’re looking for a secure place to keep your classic car out of the elements that won’t take up precious garage space at your home, look no further than an outdoor storage unit. However, be sure not to confuse an exterior or outdoor unit with "outdoor vehicle storage" or "outdoor covered storage." Outdoor storage units are their own dedicated spaces with walls, a door, and a specific lock. Covered storage is more like renting a parking space in a secure lot. Both have their place, but if you’re looking for a whole unit and come to find a single parking spot, you could be in for a rude awakening. Check out some of our informative blog posts below.